Graduating month (August) is coming close and Lahore School students are making best use of life at the Campus and creating memories; farewell dinners, get-togethers, theme days, color days and group photos. Lahore School of Economics MBA II 2007 students celebrated their theme days (Hippy and Devils and Angels Day) on June 25-26, 2007. Colorful events were held in the Main Café at Burki Campus. Students dressed in typical attire according to their themes gave live musical performances on these memorable days. Lahore School of Economics gave a farewell dinner for the graduating batch of MBA, Executive MBA and MSc 2007 at Crystal Hall Pearl Continental, June 21, 2007. The evening was marked by charismatic ambiance and the captivating performances. Students reminisced and cherished their time spent at the Lahore School. They showed videos made by each section. Live music performances were also given by students in addition to giving ‘titles’ to every one. Four teams participated in the championship which included 6 preliminary round matches before Finals. The two finalists were Team 3 (Ameera Safdar BBA 1, Shahram Niazi BBA 1 and Umer Anwar BBA 1) and Team 4 (Ayesha Mirza BBA 1, Yumna Ali BBA 1 and Ambar Nasir BBA 1). 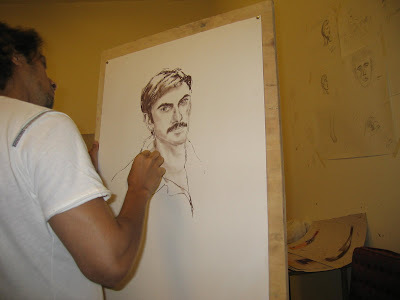 Lahore School of Economics Drawing and Sketching Workshop came to an end this week. Month long activity was very enrichi. Students got a chance to unleash their creativity hidden inside during these workshops with Professor Zafar, an art professor from College of Arts and Design at University of Punjab. Ali Zafar gave a lecture and demonstration on the fine arts.